Ford Fiesta ST Interior, Sat Nav, Dashboard | What Car? 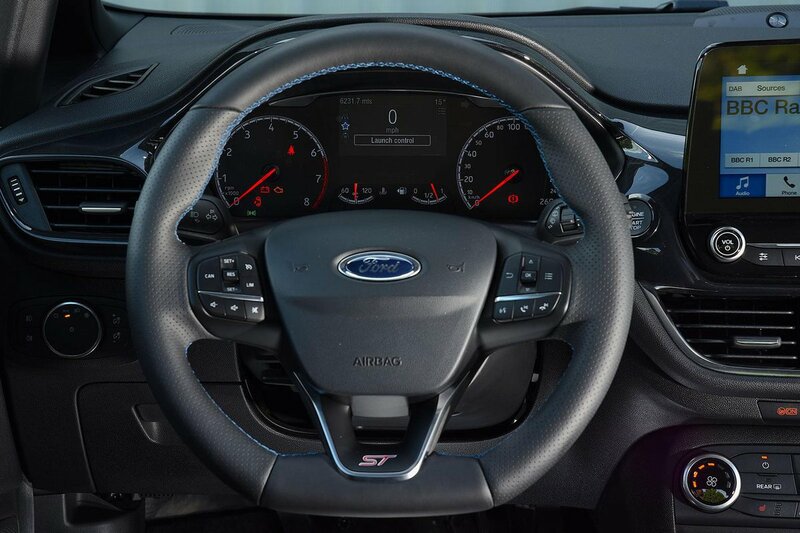 The Fiesta ST driver benefits from a supportive (but very figure-hugging) Recaro sports seat with excellent adjustment, and a steering wheel that moves up, down, forward and back by a plentiful amount. Thanks to pedals that are perfectly aligned with the seat and steering wheel, you'll feel at home and in control. Ford's Sync 3 infotainment system is standard and comes with an 8.0in touchscreen. It isn't as good as the Polo GTI's infotainment but, for the price point, is pretty decent: it offers sharp graphics, lots of features (including Apple CarPlay, Android Auto, a DAB radio and Bluetooth) and relatively simple menus. One gripe is that there are no physical shortcut buttons to make it easier to hop between functions, but nevertheless, it's far better than the systems found in the Peugeot 208 GTi and Renault Clio RS. 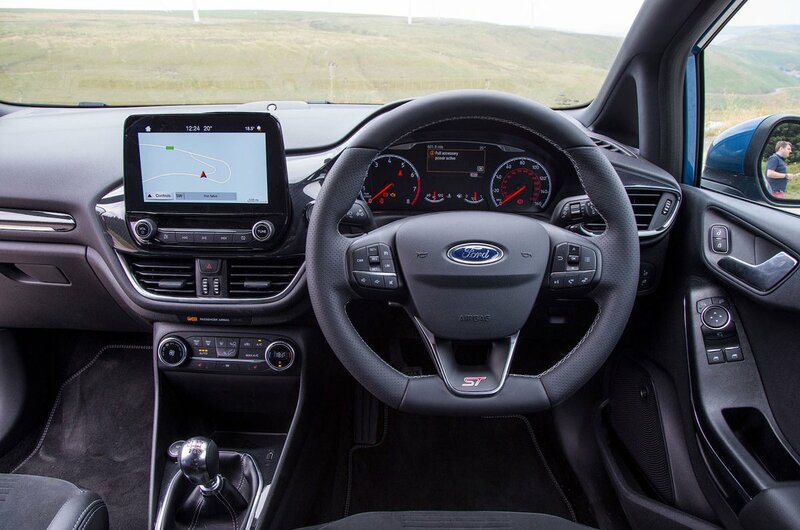 In-built sat-nav is standard on ST-3. 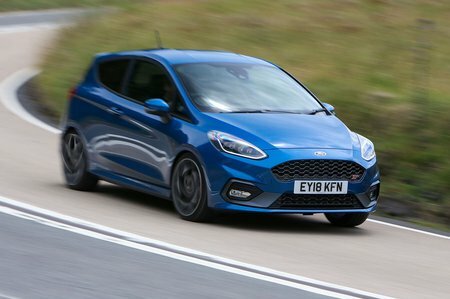 Interior quality is also far better than in its two french rivals, and the ST stands out from the rest of the Fiesta range thanks to its leather sports steering wheel, those unique Recaro seats, carbon-effect trim inserts and plenty of ST badges. For the money, only the Polo GTI feels any plusher. A 10-speaker B&O Play stereo comes with ST-2 trim, which sounds good. Oddly, it's not fitted to the ST-3 model as standard, and well worth considering as an upgrade. ST-3 trim does feature a rear-view camera and rear parking sensors as standard, though. You can add both to ST-2 trim, but only rear parking sensors if you go for ST-1. LED headlamps are also an option, but again not to ST-1 buyers.